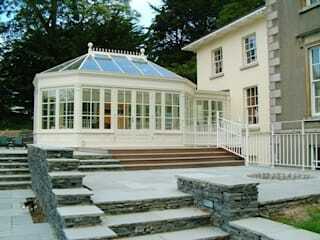 conservatory and wood orangery manufacturers in the UK & Ireland. 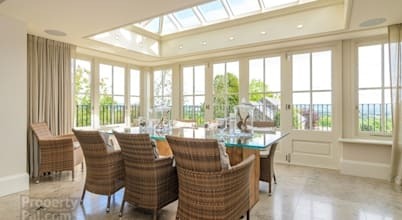 Over the past 30 years we've used our experience & expertise to design, manufacture & install thousands of bespoke hardwood timber conservatories & bespoke hardwood timber orangeriesfor a variety of highly satisfied clients. 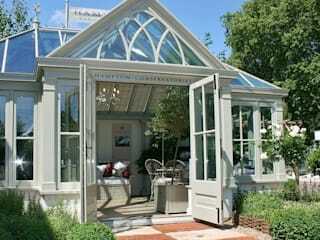 From period conservatory styles to contemporary conservatories. Hampton Conservatories manufacture bespoke timber garden rooms and bespoke timber Orangeries throughout the UK, Ireland, Europe and the USA. Exceptional design is a key priority at Hampton Conservatories Ltd. Not only do we believe our designers are the best in the business, but the numerous design awards we have won, judged by industry experts, provide independent verification of our exceptionally high standards. In the case of Hampton Conservatories’ design of the Faculty Club of the prestigious Harvard University in the United States, the installation was felt to be “evidence of exceptional design and production skills”, in an entry that was “thoroughly calculated and executed”. So proclaimed the judges of the competition, who also described the event as, “a stunning success”. Glassex is the main trade exhibition for the Glass and Glazing trade in the UK. With the finalists and winners displayed in a stylish and relaxing environment at this year’s Glassex, which took place during March at the NEC, visitors were able to examine the highly individual entries, many of which showed extraordinary skill and ability, with the winners also demonstrating an exceptional flair for presentation. The Competition was divided into three categories: Conventional Domestic; Conventional Commercial; and Portal, with each being judged on design innovation, production innovation, aesthetics, structural integrity and calculations, and the quality of the entry. A winner was decided for each category, with an overall winner declared. The Conventional Commercial entry was an extraordinary edifice produced for the Faculty Club of the prestigious Harvard University in the United States. In the style of an Orangerie, the installation was felt to be “evidence of exceptional design and production skills”, in an entry that was “thoroughly calculated and executed”. The Portal was even more impressive. 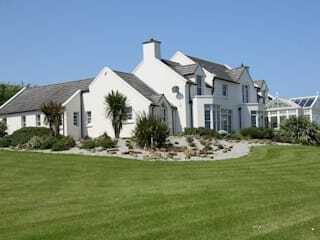 This extraordinary swimming pool house built for a family of swimmers, some of international standard, at their home in Ireland, required “an understanding of structural values and calculus” that was “at the top of the pile”. In fact, so impressive was Hampton’s Portal entry, that it won the overall accolade as Glassex ‘Conservatory Design of the Year’. Browse our gallery of products for further information or contact us to request a brochure or arrange an appointment. Ltd. Not only do we believe our designers are the best in the business, but the numerous design awards we have won, judged by industry experts, provide independent verification of our exceptionally high standards.